I totally let the music of Morrissey–both solo and with his earlier band The Smiths–slip by me. The somber sounds and depressing lyrics never interested me. 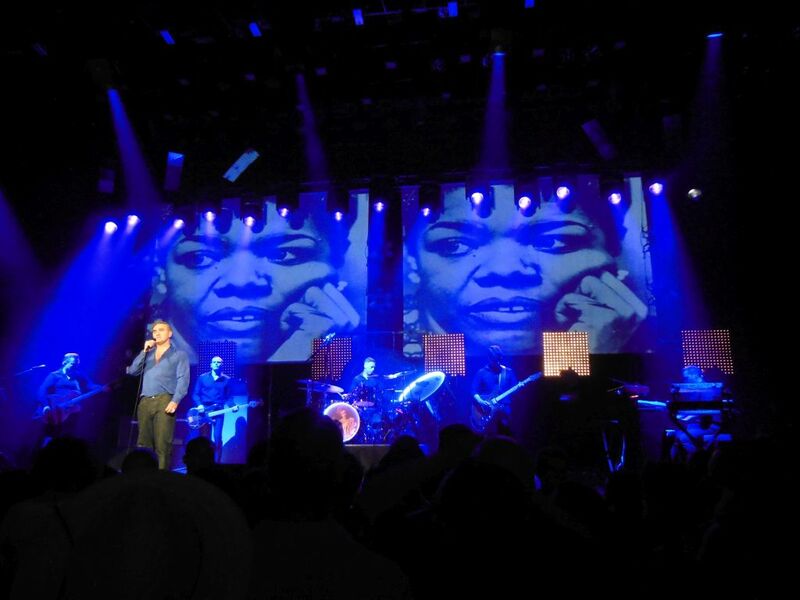 Curiosity recently got the better of me, so I decided to listen (via greatest hits records of both) and later attend Morrissey’s show at the Ryman. Despite being twice delayed for health reasons, the show finally happened and I was quite pleased that I went. 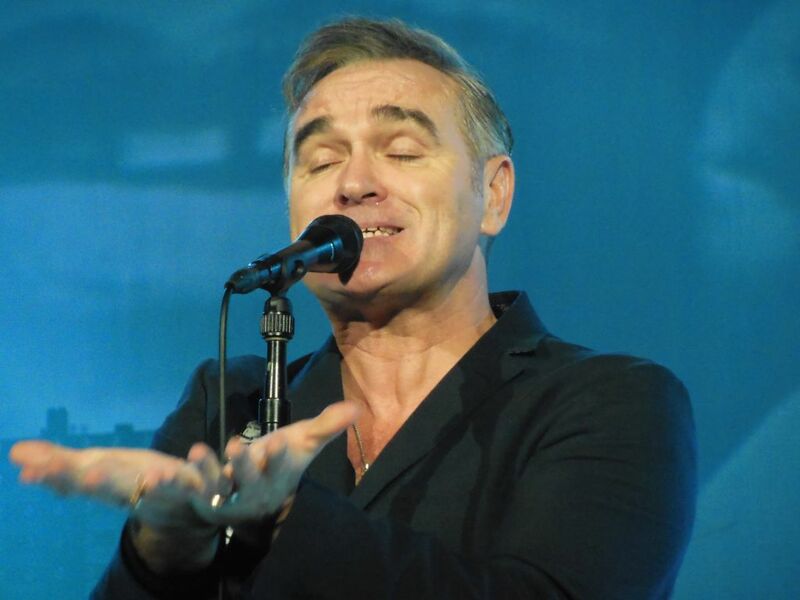 In all my years, I can’t think of an artist who I can compare to Morrissey. His looks, his style, and all his quirks make him a rather untypical rock performer. Really incomparable, though, are his fans. I have never seen a group more obsessed and devoted to a performer as I witnessed this night at the Ryman. The rather rigid Ryman seating rules got thrown out the window before the show even got started: Fans took positions on the edge of the stage as soon as the door opened. The Ryman staff objected at first but finally gave in, keeping the unseated mass somewhat contained to the very front. Another logistical Ryman first were the addition of six outside security guards lining the front of the stage throughout the performance. Musically for 90 minutes, I was blown away by the power and precision of the black garbed backup band. Starting with the chilling, mesmerizing sonic sounds of the opening Smith’s number “How Soon Is Now?” I was totally drawn in. 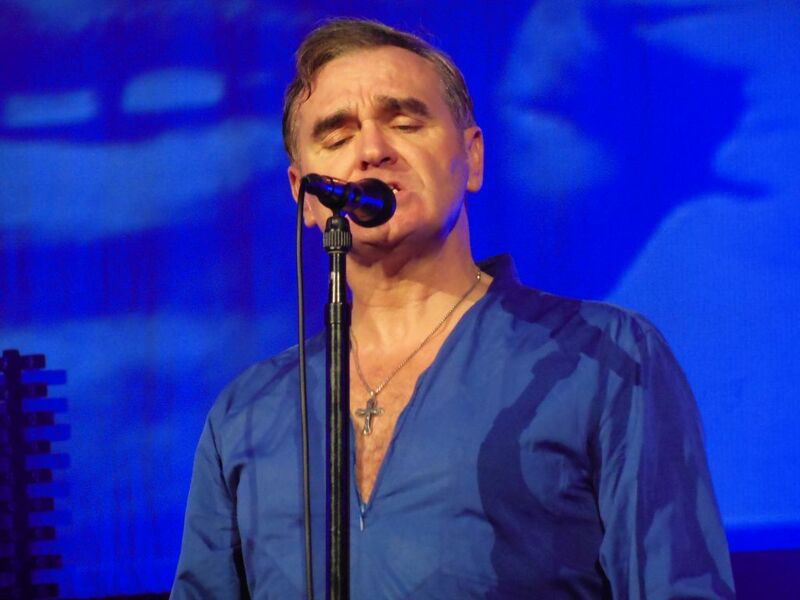 The night’s set included three Smiths songs plus three from a forthcoming solo album. 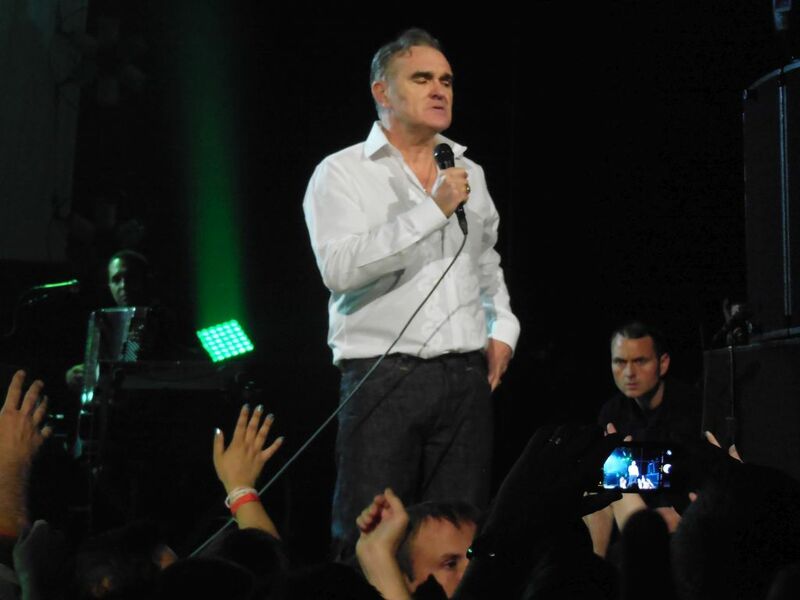 The main set ended with The Smith’s “Meat is Murder” during which Morrissey made his pitch for going veggie by showing some very grotesque slaughterhouse footage. He sang against a backdrop of two large photos of American author and poet Maya Angelou who had died earlier that day. At one time he asked why she couldn’t have been president of the United States. That query led to the first of a few “what does the audience think” moments where he handed the mike to let some folks down in front say a few words. He makes the best of what he has vocally and comes across as a rather entertaining crooner. As Elvis Costello said, however, “Morrissey writes wonderful song titles, but sadly he often forgets to write the song.” True. I had no idea what the guy was singing about, but look at those titles! All evening long there were shouts from grown men and women telling Morrissey that they loved him and just longed to touch him. Then there was the surreal moment when he went bare skinned throwing his shirt into the crowd. Although it went cleanly into one fellow’s hands, this other guy thought he still had a chance. His attempt at extraction was immediately shut down by a stern threat that physical harm would ensue. I then watched the lucky guy savor his treasure as if it were the most valuable possession in his life. And finally, there were the hugs. I had heard about the tradition of fans climbing on stage at the end of the show to hug Morrissey. I had also heard about how he recently cut a show short in San Jose when someone hugged him too long. No such thing tonight. During the final number, two members of his road crew coordinated some synchronized-hugging in which they pulled people out of the crowd for hug opportunities without ever letting go. It kept each hug to a minimum. What a sight to see! The show has certainly heightened my appreciation of Morrissey’s music, and I now regret never having seen him with legendary guitarist Johnny Marr in The Smiths. Yet, I don’t think that I’m quite ready for a hug.